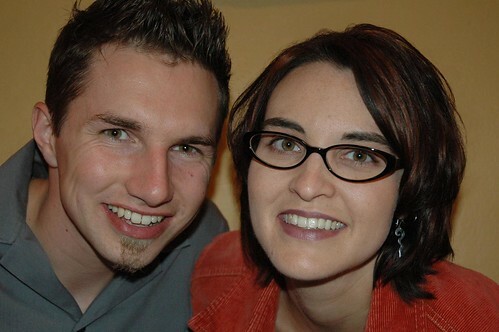 This article was printed from http://propel.mdat.org/category/missions-and-marriage/. Communication, information and a loved mother are the keys to preparing your kids to go international. Communication is about adventuring together rather than alone. It is the sharing of what one is thinking, how one is feeling and the decisions one is wrestling with. Start when God begins to call you to missions. As you ask other adults to pray with you, ask your kids to pray with you. As you learn about the country and the people you are being drawn to, involve them in that learning. Communication between family members is crucial, especially for those six years and older. Not everyone is an out loud processor, but everyone will benefit from the interaction and sharing. It does take longer to keep several people in the loop, but the unity as a family and the positive attitudes will be so much better. Information is crucial to preparing you all, and the more the better! Research the people you plan to serve and the places you plan to go. Go through the discovery process together as a family. You will find that each person in your family will be interested in different parts of the culture and each will ask questions you never thought to ask. Take the time and energy to make it fun. Try books from the library and visit Barnes and Noble. Look for DVDs and videos. Search the internet and make a notebook of what you find. Look for common recipes from that country and try them out. Locate students, businessmen or neighbors who have lived in that country and have them over for dinner and a visit. Search out any blogs talking about that country, and pay attention to news items relating to that part of the world. Ask questions. What is the country like? What do people do for jobs? What do they produce? What kinds of clothes and what colors of clothes do they prefer? What smells and sounds would one find? What kind of cars do they drive? What are their favorite foods? What will your kid’s schools be like? What do you do when you are called to China as a missionary, but your wife isn’t so sure about that? To put it another way, how can a couple looking at missions mesh who they are? We long to see those drives and passions flow in the same direction rather than straining or crashing the relationship. The answer: It takes “talkin’ and travellin’”! In part we know who we are, where we dream to go and our preferred methods for getting there. But actual over-the-road travel is what reveals, and even refines or proves what God has placed and developed within each of us. Over-the-road travels show you each others’ preferred speed, preferred and maximum stress levels, preferred relaxation and celebration points (and styles), and preferred types of work and ministry. Practice in sensing differences and then adjusting to one another can only occur in these real life road trips. Get involved in some ministry and mission activities together now to learn the skills you will need for then. Each of us is unique in gifts, desires, energy levels, and the sense of God’s calling. According to the gifts and passions that burn within us, we see and feel life differently. It takes time to see through someone else’s eyes, and even longer to truly value that “other” perspective, but that is what it takes to blend the two of you into one! A key issue is one’s perspective on husband/wife roles. Some wives clearly sense a calling to a man over the calling to ministry. Wherever he goes, she goes. On the other side of the spectrum are wives who feel the calling and the driving purpose the strongest, and they must be about it! Whichever “coupling” you share, it takes “talkin’ and travellin’” to learn the fine art of meshing two passions and visions into one. Yes, doing things together takes longer, but it is far more balanced and able to serve a broader spectrum of need with far less wear and tear on the relationship than going it alone. Mature interaction requires the discussion of topics for the purpose of understanding another’s ideas, feelings and reasons, and to communicate one’s own, without feeling forced to agree or disagree. I often wonder if, in practice, we actually think it is our job to call others to missions, as though the Holy Spirit has forgotten how, or at the very least, is not capable of doing the job without our concerned help. Trust Him and trust your spouse to hear God’s voice. The individualism of our culture will fight you on this point! The push for speed, visible results accomplishments and goals in our culture will also fight you on this. Solid growth in partnering requires time! Discuss and understand. Pray and seek advice. Interact with friends. Consider the reasons, skills, gifts and personality of each other. Talk and travel, together! God doesn’t lead spouses in opposite directions, but it can take a good while to understand each other’s passions, gifts and callings – and figure out how God intends to blend the two together! I met Geinene Carson and her husband Mat at Missions Fest Northwest in 2005. She has served with Operation Mobilisation since graduating college in 1999. Her first three and a half years were spent serving with a team in Vienna, Austria. She moved back to the US in 2002 to join OM’s recruiting team. And, for the past year, Geinene has been actively pursuing the development and promotion of a pioneering new Visual Arts Ministry, OM Artslink. Presently, her position is Missions Mobilizer and Artslink Director. Propel: When you and Mat were dating, did you both feel as though God was taking you in the same direction towards or into missions? Geinene: Good question. We both had developed an obvious passion for missions and were coming to terms individually that our short term mission experiences with OM could very likely become life-long careers. Missions then, in a sense, was seen as a reality for our lives whether dating or not. The catch was that we had very different mission experiences and ideas for what our future mission involvement would look like. Matthew had served his first three years in the Muslim world. I, on the other hand, had been serving in secular Europe, gaining a great passion for sharing Christ among Europeans while also developing avenues for using visual art in ministry. We knew God was calling us into missions, but we questioned if we were called to the same type and region of ministry. I love Muslims but didn’t hold the same passion and urgency that Matthew had for them. He had never really experienced Europe nor held the same passion that I had for using the arts. It was an interesting dilemma, one that concerned us both for some time. Our question was “How would God marry our passions and missions experiences?” We wondered if it would end up in one of us sacrificing our passion and ministry and adopt the other’s. In those early dating days, I remember being somewhat concerned that if I pursued marriage with Matthew, I would have no choice but to go to the darkest parts of the Muslim world, having to sacrifice my independence as well as my artistic talents. Noticing my uncertainty on the matter, a mentor of mine shared a great piece of advice with me, which changed the way I looked at the matter. She said, “Geinene, before you try to figure out if you are called to this ministry . . . you first need to answer if you are called to this particular man.” She further explained to me how once I know of God’s leading in our relationship, then the rest would fall into place as God would have it. She talked about how God could change my heart for ministry, or Matthew’s. God could even change both our ministry paths entirely. This advice really simplified things in my mind. Instead of worrying about all the “ifs,” I just had to simply focus on my relationship with Matthew and find out if he was someone God had placed in my life for a reason. Propel: Are you and Mat both headed in the same direction in your mission service today? Geinene: I can now say yes without a doubt. We are headed in the same direction, married in our purpose and cause, complementing each other with differing gifts and talents. As our relationship has developed and we find ourselves married almost two years, we have learned to celebrate our differences instead of being threatened by them. We are discovering a “team” mentality, seeking the Lord’s will together instead of separately. Our differing backgrounds in ministry are beginning to make sense as our lives become uniquely ours. God recently led us into a most exciting ministry. Like I said before, our question had always been how God would marry our different visions: his for Muslims and mine for the Arts. We share a love for cities and an interest in learning more about urban church-planting through creative means. God opened the door for us to move into the city of Atlanta to help with a dying church. Here we find ourselves surrounded by a most dynamic community. Two blocks away is the biggest Mosque in the Southeast, and in the other direction a most secular art community. I am gaining a new understanding and experience with the Muslim community while he is most interested in immersing himself in the art community and helping me lead art teams to Europe a couple of times a year. If you ask me, this is really a God designed location for us and a great training ground for where He will be sending us next.